National Air Transportation Association President James Coyne believes the quarry the DOT is hunting is well prepared and well funded, and said brokers need to be honest. Air charter brokers—how much do you really know about them? Are some brokers dishonest, illegally selling Part 135 tickets, holding out as the direct carrier, and how do they come up with their pricing? These and more questions are the tip of the iceberg since the Department of Transportation published a “notice” on the Federal Register warning deceptive charter brokers to wise up and adhere to statute 14 CFR, and particularly section 399.80, “Unfair and Deceptive Practices of Ticket Agents.” Chartering aircraft, particularly jets, is quickly becoming the fastest growing segment of general aviation, akin to fractional ownership, or outright ownership, and if you believe that very light jets will be the nation’s next hot ticket, as does NASA, the DOT is worried about who’s selling charters to the public. 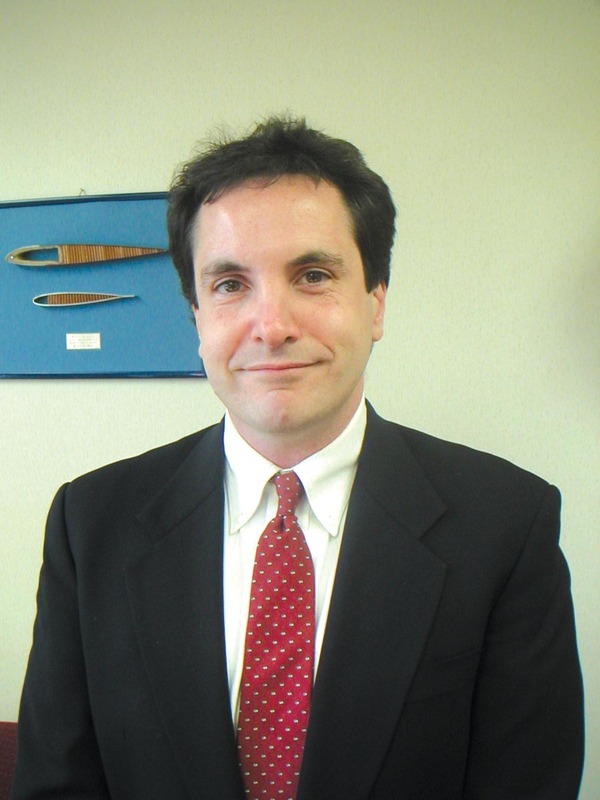 Dayton Lehman Jr., the DOT’s deputy assistant general counsel, who is the primary on the notice, told Airport Journals that anyone could become a charter broker; it’s an unregulated segment of GA that up until now the DOT wasn’t overly concerned about. He said the law is as old as dirt, and ignorance or disregard for it won’t get you out of it. When asked how many charter brokers exclusively selling 135 tickets have received exemptions, he replied none-which means that most of them are breaking the law. Lehman uses a scenario where a college university calls up a broker and wants quotes to take its students on a trip with an on-demand charter company. In other words, he said if a charter broker collects funds upfront from a customer, and their contract is promising air transportation from point A to point B, it’s a problem; they’re breaking the law because they don’t have authority to sell air transportation; they’re not an airline and they’re not an agent of an airline. He said that scenario would only be legal if the broker had a “380,” which is “economic authority” to sell air transportation as an indirect carrier-like a tour operator or travel agent. He also said that for a broker to become an indirect carrier with economic authority, the broker would have to adhere to provisions similar to what Part 121 or Part 135 operators do. By escrow accounts, he said, the carrier cannot have access or “control” of the funds before a flight takes place, and brokers have to establish contracts with the 135 operators. Although the DOT is quick to point out the law, the majority of brokers have essentially been breaking the law, and Lehman knows it. He admits that the problem is that the DOT doesn’t have any regulatory systems in place for charter brokers, who simply want to be the middleman between a customer and the Part 135 operator. When confronted by the fact that so many brokers don’t disclose what their fees or commissions are, whose aircraft specifically a customer would be flying on, and what the cost of such a trip would be, he said basically that’s why they reposted its rule under 14 CFR Part 380. When asked what level of protection the public needs when dealing solely with brokers acting as intermediaries for on-demand Part 135 trips, he said he didn’t know. “That’s the real question, but at this time we don’t have an answer,” he said. He agreed that brokers are everywhere, but has no idea how many because there’s no data. He said he knows brokers quote prices and take credit cards, and the public really has no idea if their money is safe, who they’ll be flying with or on what aircraft. “I think some of those things are major issues, the protection of folk’s monies if necessary, insuring you know who you’re dealing with and importantly, knowing who the Part 135 airline is that you’ll be flying on,” he said. How does the public launch a complaint to the DOT? Lehman said they have one consumer telephone number, (202) 366-2220, but you can only leave a message after hearing a recording. “Since it’s the same number that takes all consumer complaints, we’ve seen complaints go from 6,000 to 23,000 a year; we don’t have anyone available to answer the phone,” he said. Whatever limitations the DOT has concerning enforcement actions or setting a final policy for charter brokers, Lehman reminds us of recent problems when the customer pays the broker upfront for charter flights. Bob Kirkland, a retired Tennessee businessman who describes himself as a “layman” when it comes to hiring the services of charter brokers, told Airport Journals he knows all too well the consequences of paying brokers upfront. He became a statistic when he lost $50,000. Kirkland invested $100,000 with FlightTime.com Corp., a Waltham, Mass. online charter broker, who filed Chapter 7 bankruptcy in mid-2002, leaving a trail of more than $10 million in claims. “It was a so-called guarantee of flight hours, but then they went bankrupt, so I wouldn’t do that again,” Kirkland said. He said he continues to use brokers, but he scrutinizes Part 135 operators’ history and gets four or five bids before he makes a decision to part with his money. Kirkland charters frequently, and although he doesn’t think fractional ownership is a good investment, he does use NetJets’ sister company, Executive Jet Management. “Their prices are higher than most bids, but I feel they have the insurance liability I’m looking for and that they’ll be there tomorrow,” he said. NetJets owns and maintains its aircraft, and under its Marquis Card program, it allows customers such as Kirkland to prepay, at minimum, 25 hours of flight time. 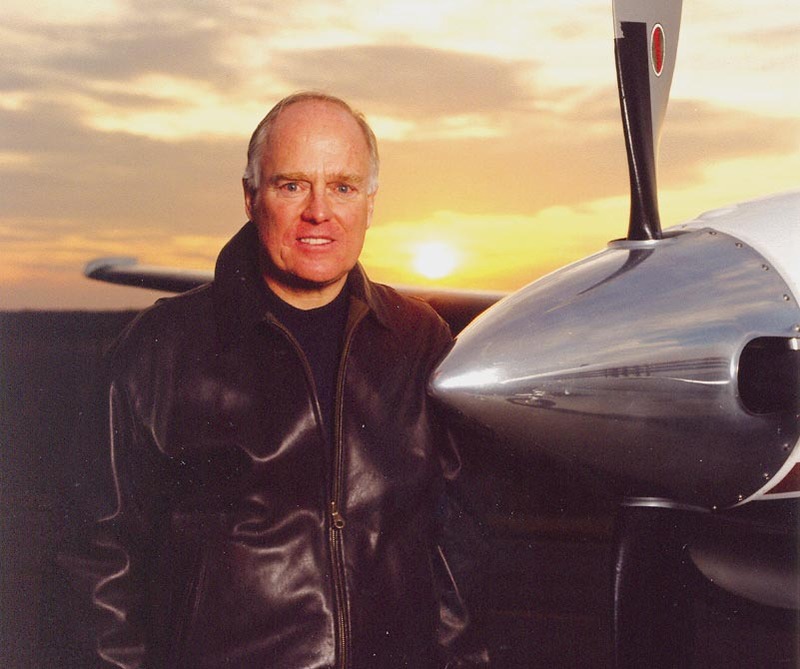 Gene Miller of New York, a former FlightTime customer who lost $150,000, said FlightTime didn’t own aircraft and overextended its portfolio. FlightTime isn’t the only broker to whom Miller has lost money. “Recently, I needed a quick trip and used an online broker, but when I showed up at the FBO, I was told that the broker I had chosen was blacklisted,” he said. “They said he owed them thousands of dollars for unpaid trips, and they wouldn’t honor my agreement. I ended up paying the charter outfit directly and realized that a deposit wasn’t even made. I’m suing the broker now for $15,695, and the charter company said they had a suit going as well. I found out that the broker’s price was $4,000 over what the charter company charged for the same aircraft for the same trip; it makes me angry. According to the DOT, these practices are illegal. Brokers are supposed to refund a trip promptly if they can’t provide what they promised, and the broker’s commission and the actual charter price should have been disclosed, which brokers rarely do. “Once a customer posts a trip, and the operators come back with their bids, all the background information is provided on the operator, the crew, the aircraft and everything about it,” he said. When asked why a customer should trust his company, and what would prevent his customers from losing all their money, similar to FlightTime, he said that wouldn’t happen. McKelvey said he started his online broker business in 1999, and that today, the majority of his 60 customers have invested $100,000; a split of 10 customers have invested between $250,000 and $500,000. He also said that to be on the safe side of the law, he has applied for a Part 135 certificate-in case the DOT determines that he can’t continue operating this way. He also agreed that something should be done to promote ubiquitous pricing amongst brokers. However, he declined to disclose how much he charged as a commission or fee when he deducted funds from his customer’s bank accounts. “It’s different for different clients; it would be unfair for me to go ahead and just give my rates to you,” he said. Richard Aboulafia, vice president of the Teal Group, a Fairfax, Va.-based research company that provides industry with sometimes hard-to-swallow analysis, shared his opinion on charter broker-investment schemes. According to National Air Transportation Association President James Coyne, the quarry the DOT is hunting is well prepared and well funded. He said brokers will charge one person one amount for a trip and then, when selling a dead-leg on the same trip, will quote a different price. Coyne said he’s not really in favor of more complicated regulations. In his view, a lot of the regulations drive up costs for consumers and others, but in this case, he believes the DOT is trying to address some abuses that need to be addressed. He said one of the problems is that the public doesn’t know with what or whom they’re dealing. Coyne said brokers can afford to do a lot more advertising than one Part 135 operator. Coyne said brokers are afraid that because of the bad apples in the barrel, the DOT is going to put them all out of business. He said that applies to everyone including 135 operators and fractionals. He suggested that if the broker industry pooled together as a consortium, it would be able to self-regulate and weed out the FlightTimes of the world. However, Larry Tobin, former project manager for FlightTime.com, who oversaw the company’s Internet network, doesn’t believe in full disclosure, especially since he purchased both websites, FlightTime.com and AirCharter.com from his former employer right after they filed Chapter 7, and began promoting online quotes from his home in California. Although Tobin is upfront that he’s an online broker and doesn’t sell “memberships,” but rather arranges for charter lift, he still uses the old company’s marketing hype to convince customers they should trust the name FlightTime. When Airport Journals questioned whether that was ethical, because he chose to omit the fact that the same company’s history he was promoting didn’t disclose its bankruptcy and the consequences, leaving customers and 135 operators out to dry, he disagreed. “I think that’s a setup question,” he said, and declined to explain why he hadn’t included the company’s history, since he chose to open that door by using it as a marketing ploy. He also said that he collects all the funds upfront and marks up the charter trip from five to 10 percent, and then pays the Part 135 operator when his customers have received the flight. Coyne says the whole industry needs to change, especially how Part 135 operators handle business and marketing, which often leaves them beholden to brokers for business. He said a lot of the 135 operators are smaller companies, and because of that, they feel they can’t say no to a broker when they ask them to extend credit, paying for a customer’s trip after the fact. Tim Thompson, marketing manager of Executive Flight, Inc., a Part 135 operator in East Wenatchee, Wash., said they have had more problems with account receivables by other 135 operators than by brokers. Other Part 135 operators such as Fairwind Air Charter, Stuart, Fla., and FBO Addison Express, LLC, Addison, Texas, haven’t had the same positive results when dealing with brokers and collecting money from them. Chuck Sonson, a United Airlines pilot who owns a Massachusetts-based Part 135 company, AC Aviation, and Century Jets, a charter broker company that also brokers under the name of 24th Century Jets, said there are other ways 135 operators are stung. In his case, he made a $500,000 mistake when he brokered out flights on behalf of a fractional company needing supplemental lift. According to Sonson, the fractional company never paid him, so he couldn’t pay for the brokered trips. NATA’s Coyne said it’s not uncommon that fractional providers call 135 operators for additional lift, but warned that 135 operators should deal directly with the entity that needs lift to prevent outstanding receivables. Chris Henderson, Fairwind’s president, said Part 135 operators need an “official blacklist,” so they can unify with other operators throughout the U.S.
“We got stung for around $40,000 by a broker, who I later found out has done the same thing to loads of people,” he said. Beverly Collins, Addison’s manager, said it’s not necessarily that Part 135 operators are stupid and continue extending credit to brokers; there are circumstances. She said in cases like that, the customer would have to pay again. Sometimes the broker has collected all the funds, but never booked a flight. Jacque Rosser, manager of flight operations for NATA, who oversees regulatory affairs, said she’s very involved with the DOT’s notice and agrees that there are some very honest brokers out there that want to operate legally. 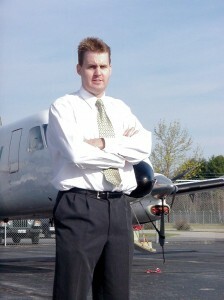 NATA member Adam Webster, who owns AirWebster.com, a charter broker company based in Maine and Canada, said he wants to charge customers a “flat fee” for his company’s services of locating charter operators, and he’s challenging other brokers to do the same. NATA member Adam Webster, owner of RSVPair.com, a research company, and AirWebster.com, a broker company in Maine and Canada, pushes for transparency and believes brokers should charge a flat fee. Coyne agreed with Webster, and finds it amazing and sad. Greg Johnson, CEO of Portland, Maine’s Charter Operations LLC, a Part 135 company, who also runs OneSky.com, a charter broker company, agrees wholeheartedly with Webster about transparency. “We’ve even gone to the point of creating an e-commerce, where Part 135 operators can control collections and billing for trips arranged by brokers, but most of them don’t want to take the time to collect their own money,” he said. NATA’s Rosser makes a compelling argument for the reason that the DOT, since 1958, really hasn’t bothered with brokers. She recalled a meeting in Dayton Lehman’s office. She said there were many names floating around, and to his untrained eye, from that standpoint, they appeared to be charter operators. “It means, I have a certificate as the Part 135 operator and you have an airplane as the owner, and for whatever reason, economics or whatever, you want to put your airplane on my certificate and I let you do that,” she said. She said how it works is that Part 135 companies are allowed under the law to charter the owner’s aircraft out, but if the owner “separately, away from the Part 135 operators control,” begins to charter aircraft out for hire, it’s not legal. Only licensed 135 operators are permitted to profit from chartering aircraft. She explained that there had been cases where the DOT had taken enforcement actions against owners of aircraft because they had illegally chartered aircraft out for profit. As well, she said that the DOT puts responsibility onto the Part 135 operators for allowing a situation such as that to happen; the DOT’s rule indicates that a licensed 135 operator should be aware of what’s going on with any aircraft that is under its license-even if the owner is physically using the aircraft. When asked how she viewed the DOT’s enforcement tactics, she said from the DOT’s standpoint, they aren’t telling anybody anything that wasn’t already on the books. She added that any broker who claims the DOT is on a witch hunt might consider doing business differently, if they don’t want to seek economic authority and be accountable for funds they collect upfront. They have the choice to change direction in their business. Richard Aboulafia, vice president of the Teal Group, a research company, said given some people’s cost-insensitivity, brokers could convince them to part with cash for almost nothing in return.